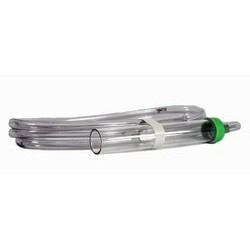 The Python Pro-Clean Gravel Vac w/ 6 foot Hose, 1" X 12" Tube. The Python Gravel Vac removes debris from aquarium gravel while performing routine water changes. The Gravel Vac is complete and not assembly is required.